These Faithfull Pozidriv tip screwdrivers with high quality, correctly hardened and tempered Chrome Vanadium steel blades. Black phosphate tips provide a long working life and are magnetised for screw retention. 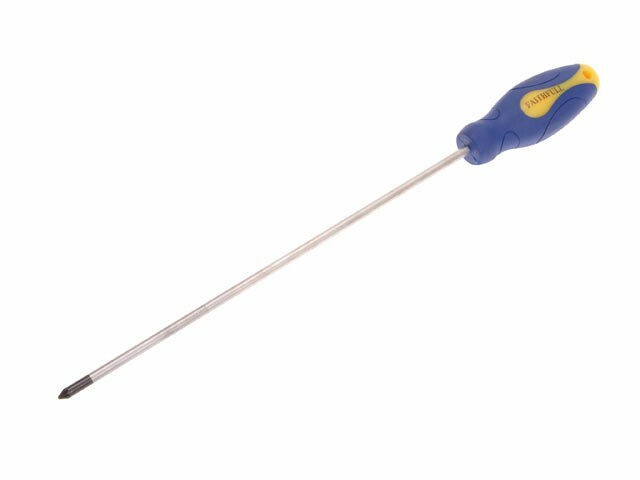 The screwdrivers have full size bi-material soft-grip handles for maximising user comfort and firm non-slip gripping. Each handle is coded with a drive icon displayed on the end for easy identification.